But just as the sun drives weather on Earth, solar activity is responsible for disturbances in our space environment, dubbed 'space weather'. Besides emitting a continuous stream of electrically charged atomic particles, the sun periodically sneezes out billions of tonnes of material threaded with magnetic fields in colossal-scale 'coronal mass ejections'. These immense clouds of matter usually miss Earth, but if one reaches us it can disrupt Earth's protective magnetic bubble and upper atmosphere, affecting satellites in orbit, navigation, terrestrial power grids, and data and communication networks, among other effects. 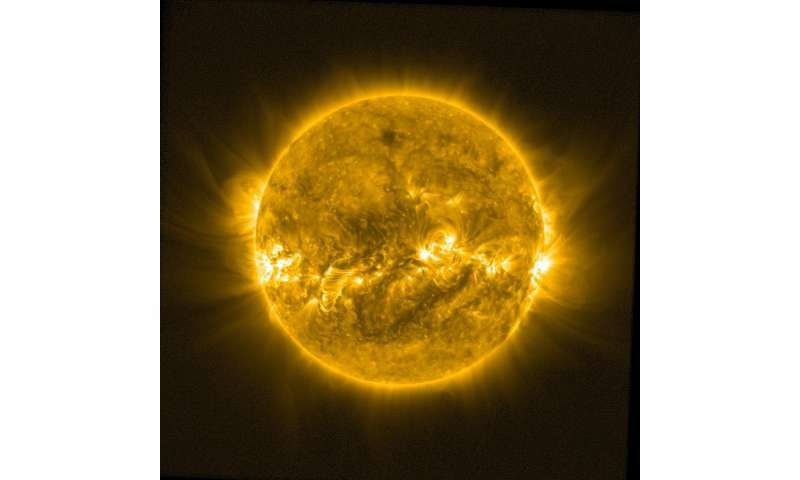 "One of the best ways to observe rapidly changing solar activity is to position a dedicated spacecraft slightly away from our direct line to the sun, so that it can observe the 'side' of our star before it rotates into view," says Juha-Pekka Luntama, responsible for space weather at ESA's mission control centre, Darmstadt, Germany. 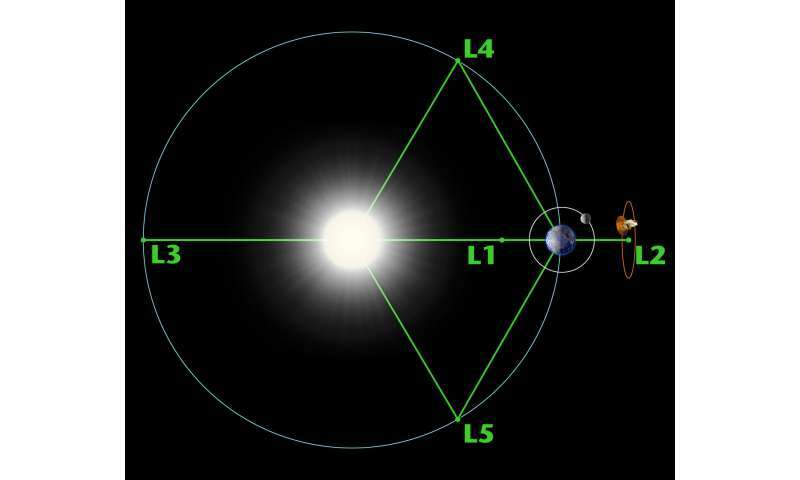 One of these, the fifth Lagrange point, lags 60º degrees behind Earth in its orbit – an ideal location for monitoring mass ejections from the 'side' so as to give early warning and better estimates of the speed and direction. 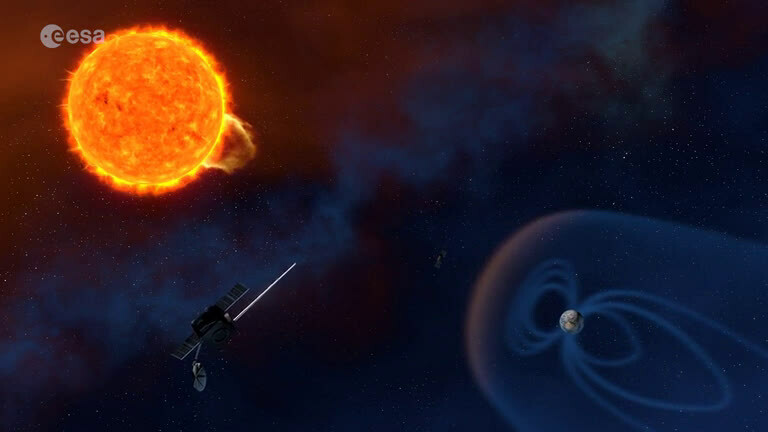 "L5 is an excellent spot for a future ESA space weather mission because it gives advance views of what's happening at the sun," says Juha-Pekka. 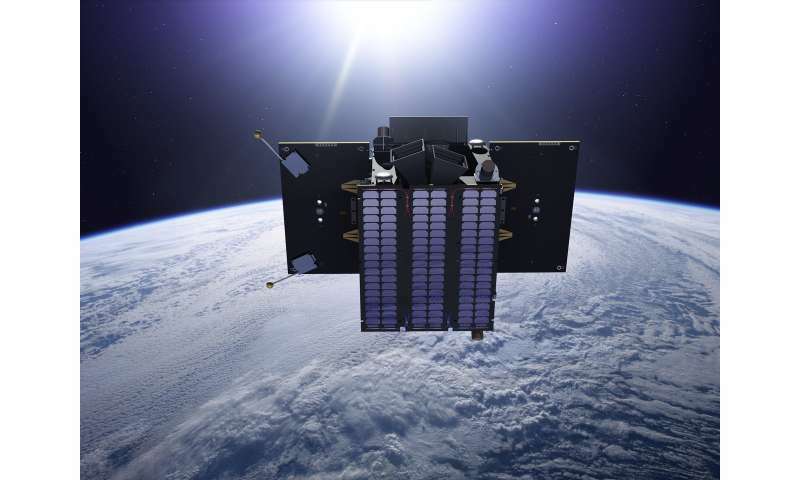 "The spacecraft would provide crucial data that will help us spot Earth-arriving ejections, improve our forecasts of the arrival time at Earth and provide advance knowledge of active regions on the sun as they rotate into view."